All of our cakes are made on premises by our staff and come with a host of decorating possibilities to suit any occasion. Most of our selection of cakes are available daily, but any of our cakes can be special ordered to include your favorite flavors with only 2 days notice! If your child has a favorite character from a TV show, a movie, or is in love with a particular sport or activity; a Copycake might be the thing for you. 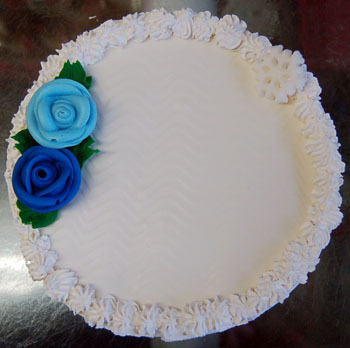 Browse through our selection of imagery, or even bring in a picture of your choice, for us to duplicate on the top of your cake.